Branded as one of the most expensive market areas in the world, Khan Market is packed with designer boutiques, bookstores, restaurants, home furnishing stores, and basically everything that you can think of. It is one of the best places in Delhi to go shopping for designer wear as tons of designers have a glitzy presence here. So here&apos;s our handpicked list of some of the best fashion stores to drop by at when in Khan! Fiercely proud of his Mewar heritage, Raghavendra Rathore lays great emphasis on tradition, steeped with culture. A celebrity designer, Raghavendra Rathore designs bollywood costumes (read Eklavya and Khoobsurat), along with rich, traditional uniforms for men and high-end accessories such as shoes, belts and cufflinks. 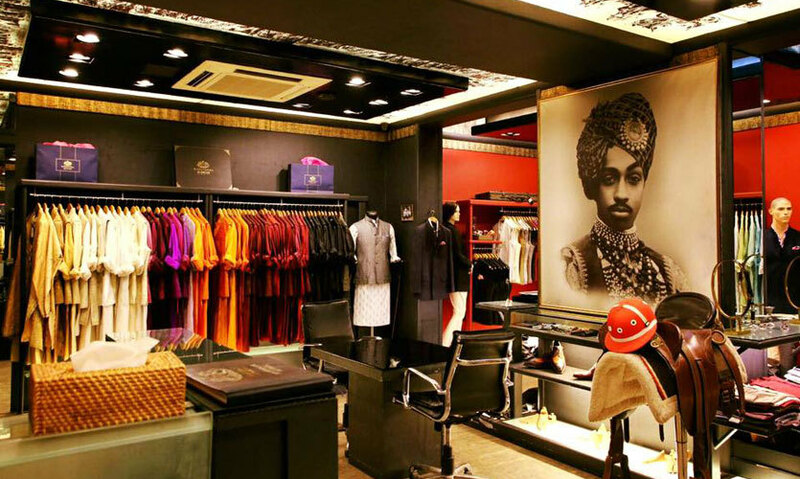 For a glimpse of royalty, simply step into his store in Khan Market! Already a favorite among celebrities, Ranna Gill’s collection of spectacular gowns, dresses, tops and quirky skirts are perfect for that formal or semi-formal party. Her creations are trendy, colorful and bold, and absolutely contemporary chic. If you’re in the mood for sporting a vibrant ensemble, then Ranna Gill’s store in Khan Market is where you go! Featuring bold block-prints in a colorful patchwork of designs reflecting a bygone Mughal era, Anupama Dayal’s flagship store in Khan Market- Anupamaa is a visual delight.Their range of block-print loose pants, long dresses, suits, jackets with traditional motifs and unique accessories are the epitome of fun elegance. Come take a look-see! An absolutely refreshing concept, Manan strives to bring you sleek and elegant hand-embroidery on premium fabrics, for the more discerning and subtle dressers. Created by Madhavi Ganeriwalla, their offerings range from designer apparel, accessories and home decor items. For affordable luxury, with a soft touch of sophistication, make Manan your next stop! Immaculate fabrics and beautiful, understated and minimalist designs. Sounds perfect doesn&apos;t it? Well, Bandhej in Khan Market actually delivers just this. They create strikingly aesthetic, simple designs using traditional, hand-crafting techniques on prime-quality fabrics for a range of sarees, cholis, ensembles, tops, bottoms and accessories. Our top picks are their beautiful silhouette tops, which would look great with any of their uber-feminine stoles! Clubbing together multiple designers and myriad fabrics and textiles under one roof, OGAAN makes your life easier and of course, sartorially better! Their apparel range includes blouses, dresses, jackets, kurtas, pants, skirts, tops and lots more. In addition to this, they offer beautifully crafted, exclusive accessories such as bags, bracelets, brooches, earrings, necklaces - the list goes on! Hailed by celebrities and bloggers galore, Neel Sutra, conceptualized by designer Deepika Govind, offers an inimitable array of beautiful silk fabrics with intricate designs coupled with contemporary and sharp, edgy cuts. Their store in Khan Market is an absolute sartorial delight- with a host of silhouettes, kurtas, sarees and lehengas along with uber-chic accessories. Head straight to Neel Sutra in Khan Market to add some beautiful outfits to your wardrobe. Ritika Bhasin’s designs are much sought after, because her clothes are uniquely designed and usually have intricate detailing with semi-precious stones, thread work, sequins, and beads. Her collection is meant for women who want to look classy and elegant. At her store in Khan Market you can shop for saris, wedding lehengas, and ethnic wear that you can wear to parties, weddings, or anniversaries. Her anarkalis have a very royal look and are quite popular! Thoroughly elegant apparel that drips with sophistication and subtle class, am:pm is a brand led by the dynamic duo Ankur and Priyanka Modi. They&apos;re known for using pure fabrics and old, established handicraft techniques to fashion apparel that is absolutely dreamy! They&apos;ve got a studio in Khan Market, so head on over! A formidable giant in the wedding couture industry, Anita Dongre is a much-revered celebrity designer. She knows the pulse of every new trend in the bridal market today, and is a true genius in her design, originality and craftsmanship; her ability to deliver quality is legend. Her much-hallowed collection of lehengas is a piece of art and encompasses understated brilliance, with intricate designs and perfectly draped silhouettes. Come, take in some glamour at her store right here in Khan Market! A celebrated, well-established name in fashion today, Label by Ritu Kumar has a store conveniently located in posh Khan Market. We were absolutely dazzled by her beautifully appealing collection of dresses, in particular their embroidered form-fitting pieces; loose embellished tunics; chic, understated tees and shirts along with fabulous bags and jackets. Go check her store out! Ah, how can we forget our beloved Fabindia! Bringing more than 80,000 Indian craftspeople closer to the urban market, Fabindia has taken over all of India. Best known for its ethnic wear for women, men & kids, one can find home furnishings as well as home décor products, stationery and skin care products here - see you there, wallets in hand! Do you revere your home space and worship home decor like a demigod? Well then, look no more, and stroll straight into Ishatvam’s store in Khan Market. Their collection includes unabashedly Indian clutches and potlis, colorful cushions, easels, figurines, boxes and table-ware. Their collection of intricate boxes make for divine gifts - happy shopping! 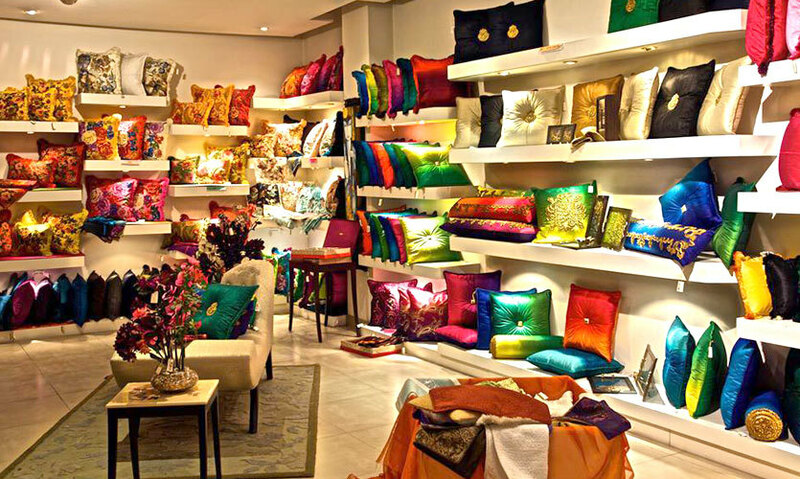 Offering an uber-cool and trendy collection of home decor products, a must-visit store in your list should be Oma. Situated conveniently in posh Khan Market, Oma offers an extensive, elegant and chic collection of lighting options including delightful dark glass candle-stands; high-end cutlery, tableware and glassware; bath products including classy guest towels, face towels and soaps; art and wall decor items and linen cushions! For the more romantic of us, who absolutely adore candles and divine scents, we bring to you your haven - The Fragrance People in Khan Market. The Fragrance People has on offer a delectable range of, of course, scented candles with flavours like (try not to drool here) Fresh Cut Roses, Lavender Fields, Midnight Jasmine, Green Tea, Sandalwood and much more. Breathe in your fragrance dreams coming true - head straight to The Fragrance People! This brand brings together traditional crafts with modern designs to create home furnishing products like cushions, bed covers, et al, as well as hand-spun designer ethnic wear. The store is always stocked with exquisite, prime quality products that will leave you dazzled. You cannot leave this store empty handed! Rooted in the traditional hand-crafting techniques of Jaipur artisans, Symetree succeeds in transplanting the beauty and timelessness of a bygone era straight into the world of today. Showcasing dazzling and immaculate, perfect jewellry, objects d’art, figurines, timepieces and writing accessories, Symetree is really the destination in your constant pilgrimage for jewellery! Crafting beautifully intricate and high-end jewellery, Amrapali is no new name to the world of bling. Laying careful emphasis on traditional designs, their collection includes pieces in Panna and Polki designs, and their Soul Bazaar collection offers contemporary pieces as well. 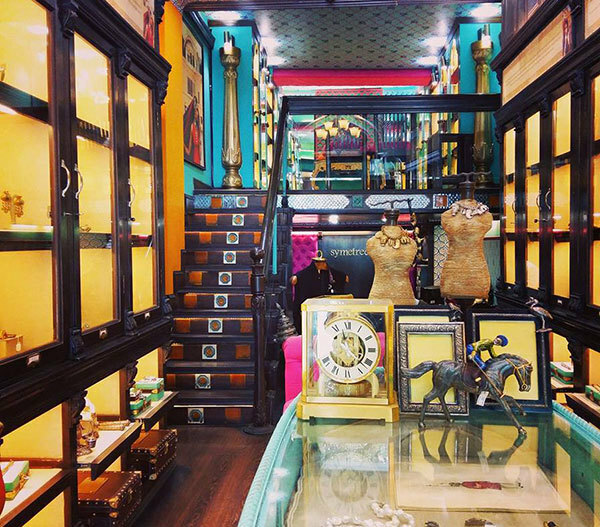 For a divine shopping experience, step into their hallowed store in Khan Market. After having catered to the high-end accessories’ market internationally (read Hollywood), entrepreneurs Sunny and Divya decided to (luckily for us) open an Ash Amaira right here in Khan Market. Their collection includes an array of shoes, glittery evening bags and trendy jewellery- just what you wanted to wear on those night-outs! Touted as a store creating wearable modernistic jewellery, Amethyst in Khan Market offers semi-precious and precious jewellery. Conceptualized by Rohit Popli, their store is as elegant as their jewellery and is perfect for that self-indulgent purchase you’ve been longing for. Their extensive collection includes neck-pieces, earrings, bangles, bracelets, rings and lots more! Three words Silverline lives by- ‘Unique Ubiquitous You’. A jewellery house that claims to have something for everybody, Silverline in Khan Market prides itself on attaining the precarious balance between fine and raw. Their astonishing collection includes tribal, beaded, stone, filigree, enamel, handmade, temple, kundan, polki, silver and gold jewellery. Go see! When we’re talking accessories, how can we possibly miss out on the magical combo of bags and shoes? Offering a trendy and exquisite range of shoes including the staples- high heels, stilettos, wedges, flats et all, as well as an extensive range of bags including clutches, leather totes, daily use sling bags and dainty purses, Hyde Out is a great place to spruce up your wardrobe! Au naturale or nothing? If you run away from all things chemical and would like to pamper your skin with nature’s best, then Innisfree in Khan Market is your store. 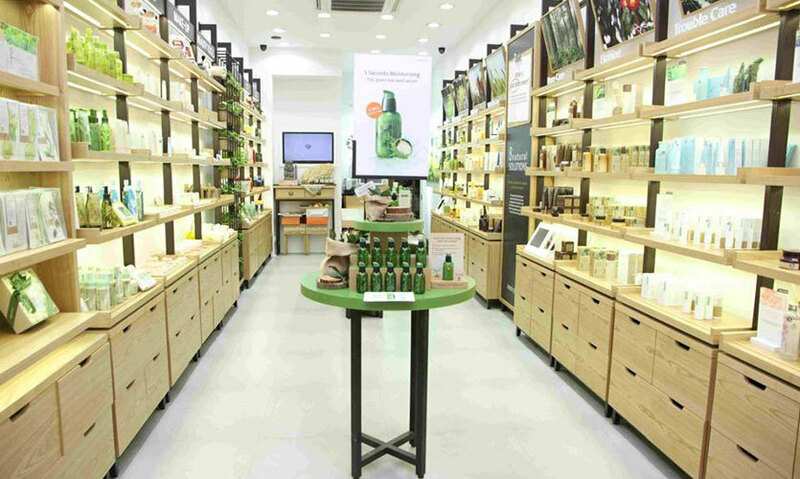 Plumbing the depths of a pristine island- Jeju in Korea, Innisfree is a naturalism cosmetic brand that offers you the purest skin-care products. Go splurge! Catering to both men and women, their extensive array of products includes moisturizers, eye and lip care products, serums, cleansers, toners, anti-ageing products and so much more. They have distinct collections of products, each with its own characteristic benefits and essences. All-time favorites include their Dark Spot Solution, Line-Reducing Concentrate and Midnight-Recovery Concentrate. Ayurveda. For those of us who know of our country’s great heritage, Ayurveda rings a bell. That is exactly what Kama Ayurveda promises on bottling for us- pure, natural recipes handed down through the ages. They use no artificial colors, fragrance or animal ingredients or really anything chemical at all. Boasting of using only natural, plant-based ingredients, their products are an absolute must-have for your oh-so-precious skin-care regime! Absolutely itching to go all-out on that shopping spree you&apos;ve been promising yourself? Well, here&apos;s your go-to list for Khan Market!